Location Location Location Minutes from 85 & 385 and 10 minutes from downtown GreenvilleAll the updates you would want. Immaculate and so many updates! 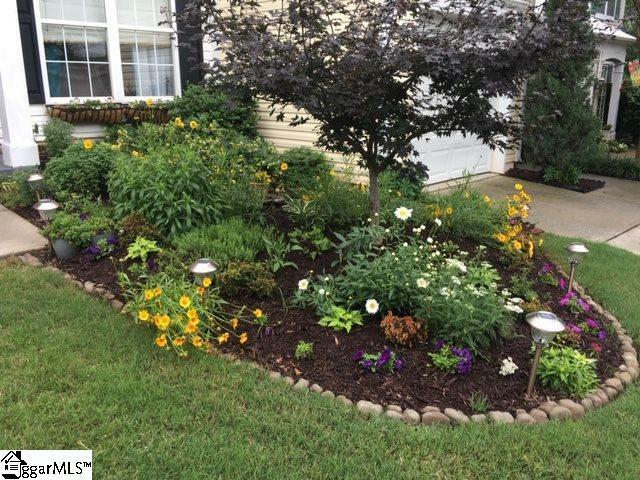 Washer & dryer to stay -stainless steel only 2 years old Seller remodeled kitchen, granite counter tops, new back splash, new cabinets, sink, faucet & additional storage in garage. Upstairs master bath total remodel-beautiful tile in shower & bath, vanity area w/lights in alcove, new tub enclosure, glass shower door made bigger, all new fixtures, and this includes second full bath upstairs with all new fixtures & sink. 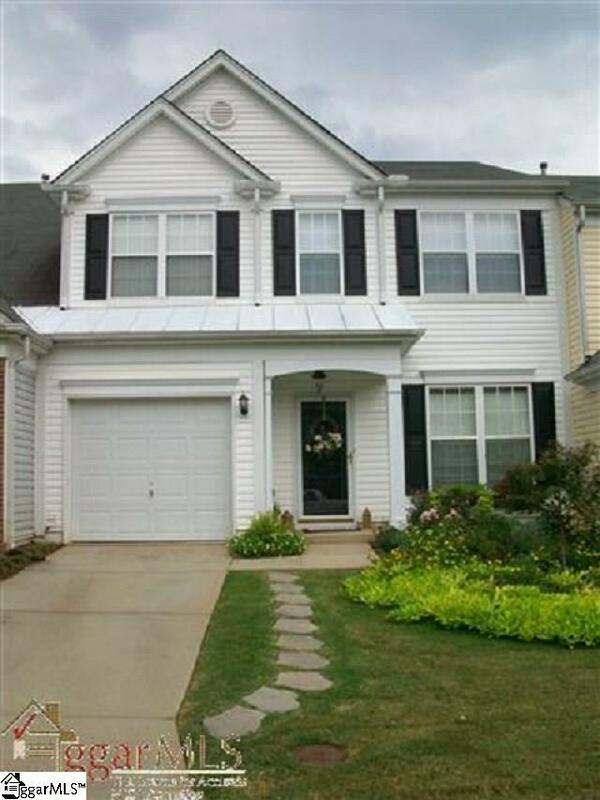 Beautifully updated townhouse conveniently located 2 minutes from 85 and 10 minutes to downtown Greenville. Wonderful airy sunny soaring 2 story entrance. 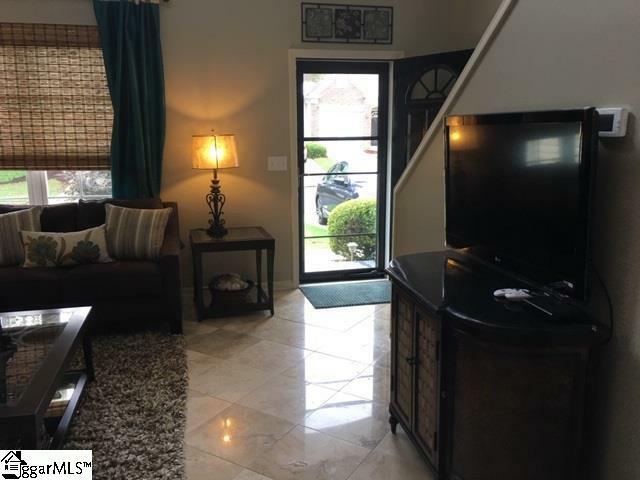 Living room & dining area to spacious updated kitchen with TILE floors. Laundry room tile floors.Kitchen with granite countertops, tile floors, stainless steel appliances, pantry and lovely back splash. Off the kitchen lovely garden flowers and cozy private patio. Kitchen opens to 9' foot ceiling den -sunny & bright- with fireplace/gas logs. Half bath (powder room) downstairs off the den. Large laundry room on first floor and large enough for ironing board. Large den with gas logs. Upstairs you have three spacious bedrooms and two 2 full baths. Master bedroom vaulted ceiling & great windows for sun & light. Large walk in closet .Master bath completely updated--double sinks, large shower & soaking tub and new vanity area with lights. Ready to Move In ``immaculate, updated & lovely. Community pool. 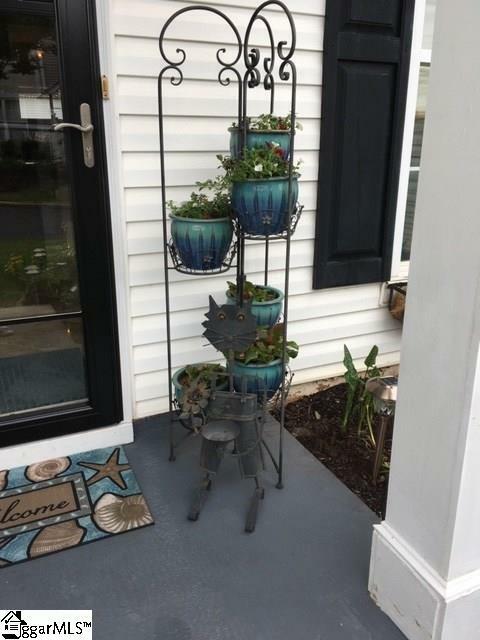 Listing provided courtesy of Mary Ann Linning of Bhhs C Dan Joyner - Pelham.